Many people consider Europe to be a single state because it is governed to a great extent by the laws, enforced by the European Union. The legislation member states are expected to abide by is approved and passed by three main institutions. The role of the European Parliament is to represent the citizens while the Council of the European Union represents the governments of the individual member states. The European Commission, on the other hand, is the only institution in the Union that is responsible for proposing and enacting new legislation which pertains to all member countries. Despite that, each of the 28 member states of the European Union bears the responsibility for enforcing its own laws, especially when it comes to its gambling regulations. This is to say there are no standardized regulations and laws on gambling throughout Europe as each country has its own legal stance on what is legally allowed within its borders. The differences in the online gambling legislation from one state to another can be quite significant. If you live in Europe, we suggest you take a look at the following article as it will introduce you to the current gambling legislation in key European countries. In addition, we have provided brief reviews of some of the most popular online casinos to accept players from Europe. 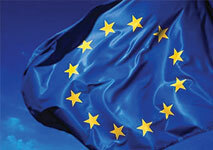 The European gambling market grows at a rate of about 3% per year and is estimated at nearly €90 billion. Participating in online gambling is a popular form of recreation for Europeans as becomes evident by the fact there are millions of customers of online casinos within Europe alone, with a great number of licensed, secure gambling operators offering their services to players from the Old Continent. In 2012 alone, online gambling operations generated over 12% of the European gambling market’s yearly revenue. There is a vast diversity of legislative and regulatory frameworks within the European online gambling sector. In some European countries, there is a monopoly on the gambling sector, while in others, established regulatory and licensing systems are at hand, which allows foreign gambling providers to legally operate and offer their services to the local players. The online gambling market in Europe is growing at a rapid pace as there are high levels of both supply and demand. Since interactive gambling services are available across a given country’s physical borders, the national governments of the individual European states sometimes struggle to maintain adequate control over the online gambling operations taking place on their territory. Often, players residing in a given jurisdiction end up registering at unauthorized, foreign gambling websites in search of more competitive services and offers. The challenge of an ever-evolving interactive gambling market cannot be met adequately by European countries acting individually. Because of this, it is the European Commission that focuses on online gambling services and the cross-border nature of this particular sector of the industry. The European Commission is focused on protecting players and vulnerable groups, preventing fraudulent activities such as money laundering, and ensuring fair play and compliance of member state’s individual regulatory frameworks with the EU laws. Another important thing to mention is that Europe is home to four of the strictest regulatory authorities in the gambling industry. These include the Malta Gaming Authority, the Gibraltar Gambling Commission, the Isle of Man Gambling Supervision Commission, the UK Gambling Commission, and the Alderney Gambling Control Commission. Some of these authorities operate from jurisdictions which are member states of the Union, while others like the Alderney Gambling Control Commission, function independently. The above-listed regulatory authorities are all responsible for issuing licenses to various online gambling websites, allowing them to legally provide their services to residents within specific jurisdictions. Also, each of these regulatory entities operates up to par with the highest international standards in the industry and is committed to ensuring the fairness and transparency of its licensees. Many countries on the continent have already taken the first steps towards adapting their gambling legislation so that it corresponds to the changes in the market, taking into account interactive gaming, in particular. Since the regulations and legislation pertaining to cross-border online gambling activities vary wildly from one state to another, we have decided to focus separately on some of the key gambling jurisdictions in Europe, providing our readers with brief overviews of the legal landscape regarding online gaming in these countries. Players from the UK benefit from an exceptionally well-regulated gambling market. Currently, both landbased and online gambling are legal within the country, with the licenses of web-based gaming operators being issued by the reputable UK Gambling Commission (UKCG). One of the most important pieces of legislation pertaining to interactive gambling is the so-called Gambling Licensing and Advertising Bill that was enacted in 2014, which introduced the standards all gambling providers operating within the UK are expected to comply with. The 2014 Bill was a major step towards introducing adequate regulations of the online gambling market – prior to its enactment, offshore operators were practically allowed to service UK players without a UK license. No taxes were imposed on their gross revenues, either. At the present moment, the UKGC issues permits for sports betting, traditional casino games, slot machines, lotteries, and bingo, with the operators having to acquire separate licenses for each type of gambling activity. Gaming operators with a UK license are expected to pay a flat tax that amounts to 15% of their gross profits. Furthermore, only gaming operators registered in the country are allowed to legally promote their services and accept registrations from UK players. The UKGC has tried on several occasions to restrict the access of UK residents to unlicensed, and therefore, unauthorized gambling websites but so far its attempts have been unsuccessful. That is to say, players from the country can still open accounts at unauthorized websites, but this happens on rare occasions only due to the large number of reliable gambling operators that have already obtained permits from the UKGC. Germany is the second most populous country in Europe, being a runner-up of the Russian Federation only. In addition, the country enjoys the reputation of being the most influential EU member state. Despite boasting one of the most competitive economies on the Old Continent, Germany’s legal stance on interactive gambling remains rather unrelenting. After the enactment of the 2008 Interstate Treaty on Gambling (ISTG), online gambling became illegal in all federal states in the country, with the only exception being the state of Schleswig-Holstein, which opted out of the treaty in 2012. Over thirty gambling operators were granted licenses by this state, allowing them to legally offer their services to all German residents. Some of the leading gambling operators in the industry like 888, PokerStars, and bet365 also obtained their permits but unfortunately the Schleswig-Holstein government was voted out of office the very next year. The authorized foreign operators were allowed to continue offering their products and services to Germans until their licenses expire in early 2018. Furthermore, only residents of Schleswig-Holstein are currently allowed to gamble legally at the licensed websites. Because of this, many players from the country resort to opening accounts with offshore, unlicensed gambling operators, which are more than willing to accommodate their needs. German players are usually given the option to process their transactions in their own currency, EUR, load the websites in their native language, and choose from a good range of dependable payment methods, including Giropay. The Schleswig-Holstein licenses are to expire in about half a year, and the good news is German lawmakers are already considering introducing various amendments to the current legislation which are to make the local online gambling market more competitive, in compliance with the EU laws on free trading. Both landbased and online gambling activities are legal on the territory of Finland but the local market is heavily regulated as licenses for such services are granted only to four domestic companies, each one having a monopoly over a specific type of gambling. Landbased forms of gambling are under the control of the state-owned Finnish Slot Machine Association or RAY. Horse racing and parimutuel betting are overseen by Fintoto Oy, an entity which is also owned by the Finnish state. PAF or “Play among Friends” is responsible for the control over all gambling activities, taking place on the territory of the province of Aland. Veikkaus Oy (the Finnish National Lottery), on the other hand, regulates instant win games, sports betting, and lottery tickets. Following the intervention of the European Commission, RAY, Vekkaus Oy and Fintoto Oy all merged into one entity, Veikkaus, as of 2017. Meanwhile, online gambling is allowed as long as it takes place at websites which have obtained licenses from PAF or RAY. Thus, Finnish players are presented with an extremely limited number of legal gambling options on the web. However, since the country’s government does not persecute players for betting on unlicensed websites, Finns often resort to using the services of foreign gambling operators. The latter are more than willing to cater to players from this jurisdiction, allowing them to deposit in their local currency, the EUR, as well as to pick from an extensive range of payment methods like Nordea, Zimpler, and Euteller. Finns can also load the casino websites in their native language, which is supported by a large number of offshore gaming operators. Similarly to their Finnish neighbors, Swedes are allowed to gamble legally both at landbased casinos and online. The state, however, exercises a tight control over the domestic gambling market since only locally licensed gambling providers are permitted to offer their services to players from the country. It is the state-backed Svenska Spel, which holds a monopoly over the entire market since this is the only company to receive licenses for operating a web-based poker platform and online lottery games. Despite the monopoly, there are no legal repercussions for Swedes, who register and play at unlicensed, offshore casinos. Since the Swedish government has not taken any steps towards blocking foreign casino websites, players from the country are able to choose from a nice range of gambling operators, accepting registrations from this jurisdiction. Furthermore, Swedes are spared from conversion fees since most established online casinos support their local currency, SEK. There are various indicators that point towards Sweden changing its restrictive policy on online gambling in the future. Lawmakers have already proposed to introduce various amendments in license terms and taxation that would supposedly lead to the country opening its monopolized market to foreign competitors. Only time will tell whether or not the Swedish legislators will follow through with enforcing the said amendments. In line with the regulations imposed in neighboring Nordic countries, Denmark, too, has established a monopoly on most forms of landbased gambling, including bingo, lottery games, and races involving animals, such as pigeons, horses, and greyhounds. The online sector of the local gambling market is also subjected to strict control as only operators which have acquired licenses from the Danish Gambling Authority (DGA) are allowed to operate legally within the country’s borders. At the present moment the number of locally licensed online casinos exceeds 25. The local authorities have already added some of the unauthorized operators to their blacklist. In addition, the Danish government can instruct the banking institutions in the country to block the payments to and from unlicensed operators, accepting players from this jurisdiction. Foreign operators, interested in obtaining a Danish license, can apply for a number of different permits, each one covering a specific type of gambling activity, such as sports betting, online poker, and virtual casino games. Gambling is a popular form of recreation among Spanish residents, which is hardly surprising considering the country has recently opened its market to foreign competitors after the enforcement of the so-called Spanish Gambling Act in 2012. Under the Act’s provisions, foreign gambling operators can apply for, and potentially receive, local licenses as long as they comply with the guidelines outlined by the Spanish regulator, the General Directorate for the Regulation of Gambling Activities. One of the conditions is for foreign gambling operators to have their servers located within the country. Many leading offshore casino providers have already acquired their licenses from the General Directorate, with William Hill, 888, and bet365 being some of the most popular options for Spanish players. Poker enthusiasts from Spain can legally join some of the biggest poker platforms on the Internet, PokerStars and partypoker, via the designated domains, ending in the .es extension. Unfortunately, all Spanish licensees are subject to taxes that amount to the staggering 25% of their gross revenue. This is precisely the reason why some foreign gambling providers steer clear from applying for a Spanish license at all, which hardly prevents them from accepting registrations from the country. This causes some players to look for alternative options among unlicensed gambling operators, which welcome customers from Spain. Italy is among the European countries which have already enforced adequate regulations regarding online gambling as of 2011. Both brick-and-mortar and web-based gambling operators can service Italian players as long as they have been granted a valid license from the local regulatory body, the Autonomous Administration of the State Monopolies, abbreviated AAMS in Italian. The taxes the licensees are expected to pay depend on the type of service they provide. Thus, poker operators have to pay a flat tax of 3% of their turnover, while online providers of virtual casino games are taxed with 20% from their gross profits. Meanwhile, there is an 11.5% flat tax rate on licensees that offer games of chance and bingo. The government has already distributed licenses to a great number of foreign operators, so the options Italian gambling enthusiasts are presented with are anything but limited. Players from the Netherlands can legally partake in all forms of landbased and online gambling as long are the operators servicing them hold local licenses. That being said, it is also important to specify in the Netherlands, there is a state monopoly on both brick-and-mortar and online casinos. Web-based operators can legally offer their services to the locals provided that their websites are hosted from within the country. Yet, at the time of writing this article, no foreign gambling operators have actually received a Dutch license. The good news is there is a good chance of the country opening its online gambling market to foreign operators soon. In 2016, the Lower House approved a new piece of legislation, called the Netherlands Online Gambling Bill, following the intervention of the European Commission. The latter reprimanded the country for its restrictive policies on online gambling, which were in violation of the EU free trade guidelines. Some offshore casino operators have reportedly taken interest in applying for a Dutch license. Nevertheless, the new legislation includes heavy taxes of 29% on licensees which might drive away some of the potential applicants. Meanwhile, players from the country are not denied access to the websites of foreign gambling providers and can freely register and bet there. 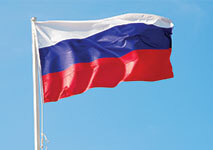 Russia is among the countries that have adopted a rather restrictive stance towards gambling. All forms of brick-and-mortar and interactive gambling in the country were outlawed in 2006. However, there are exceptions to all rules and such is the case here, because landbased gambling is permitted in four specific provinces in Russia – Siberian Coin, Yantarnaya, Azov-city, and Primorie. Furthermore, since Russia is not a member state of the European Union, there is no way for the European Commission to address the country’s restrictive policies towards foreign competition. The Russian government has already created an extensive blacklist of websites players from the country are denied access to. Russian Internet service providers have been instructed to block the websites of the blacklisted operators, which severely limits the options of players, interested in engaging in virtual casino games, sports betting, and poker from the comfort of their homes. Much to the displeasure of Russian casino fans, the local authorities are rather diligent in this respect and the blacklist is updated on a regular basis. Major players in the industry like PokerStars, Ladbrokes, partypoker, and Full Tilt have already been blocked in the country. Additionally, the Russian government levies taxes on the winnings of players. The tax amounts to 13% of the generated profits, which are deducted either on spot at landbased gambling establishments or need to be declared as income later on. Despite the burdensome restrictions, there are still few gambling operators that have not been added to the blacklist, allowing players from the country to join with real-money accounts. Some of these websites also support the local currency, RUB, and are available in Russian, which furthers the convenience of customers from this jurisdiction. At the present moment, financial institutions in the country are still not prohibited from processing transactions to and from unauthorized gambling websites, but a certain chance exists that these measures will be taken in the near future. Online gambling has been legal on the territory of Greece since 2011, when the country enforced its Gambling Act in an attempt to generate additional profits and rebound from the economic crisis it suffered. This led to some leading operators like William Hill and Betfair acquiring temporary licenses, allowing them to legally service Greek players for a specific period of time. Unfortunately, the country failed to establish an adequate regulatory system with permanent licensing. A monopoly was established, instead, with the Greek OPAP controlling the entire online gambling sector in the country. This is to say only operators licensed by OPAP can legally accept registrations from this jurisdiction. Some operators with interim licenses left the market. After the intervention of behalf of the European Commission in 2016, the government agreed to introduce various amendments and open the market, but nothing has been actually done as of yet. Needless to say, players from Greece have no intention to sit around and wait for the permanent licenses to be granted. Many Greek citizens have already registered at unlicensed foreign casinos, where they can bet on a wide range of virtual casino games, process payments in EUR, and partake in some of the many promotional offers available. To help European players make a well-informed decision when choosing an online casino to place their bets at, we have taken the time to draw up a short list of four gambling operators accepting members from the Old Continent. All four operators are well-known in the industry for their reliability, transparency, and diverse gaming libraries. In addition, players will benefit from a nice range of safe and easy-to-use payment solutions and a plethora of appealing promotional offers. Golden Tiger Casino is a well-known brand in the online gaming industry and uses software, provided by Microgaming. One of the biggest high rollers play here because of the opportunity to place huge wagers on slots like Cashapillar which allows for betting on up to 100 paylines. You can try all games for free since every player receives a Welcome Bonus of up to $1,500 on their first five deposits. The average payout rate of Golden Tiger is over 97%, which is beyond impressive. For every single bet placed on casino games, you receive comp points that you can exchange for real money. Withdrawal Options: Visa, Bank Transfers, EntroPay, Neteller, Skrill, Click2Pay. Jackpot City Casino was launched back in 1998 and has the reputation of one of the most exciting online casinos. It provides the fastest payouts to players in the online gambling industry. The approved withdrawals are processed within 48 hours. The average payout ratio is 97.48%, and you can expect better returns than those at a landbased casino. The software system allows you to fix specific deposit limits which are a good tool in order to manage your bankroll. Customer support is available 24/7 in a variety of languages. Casino Action is another online casino powered by Microgaming and licensed by the UK Gambling Commission and the Malta Gaming Authority. It features over 300 casino games that you can play instantly, with no download required. You are rewarded with a free $1,250 bonus upon your first five deposits. The casino also allowed for gaming on the go as it runs seamlessly on mobile devices. You can receive customer support in several languages via online chat, e-mail, or phone. Casino Kingdom is a first-class online casino, welcoming players from most European countries. Customer support is available in 5 languages: English, French, German, Spanish, and Italian. The registration at Casino Kingdom is really simple – you just need to download its software, create an account and supply your real details. Another option is to enjoy the games in instant-play mode. All games are accessible via the casino lobby, divided into categories. The only goal of Casino Kingdom is to provide great entertainment and unforgettable experience to its players. On your first deposit, you will receive a bonus of $77 which will increase your casino bankroll and extend your gaming session.